A Tanabata evening miracle, brought to life on BD & DVD. 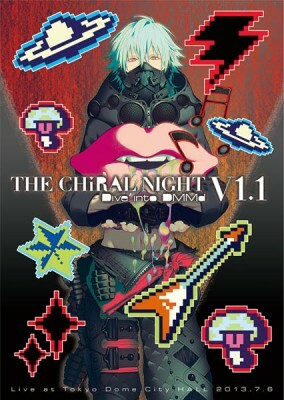 Best-selling title "DRAMAtical Murder (DMMd)" inspired the live-music concert event "THE CHiRAL NIGHT-Dive into DMMd-" in 2012. The following year, in 2013, an encore performance was held over two days, on July 6 & 7, including music from the fan disk in continuation of that best-selling release, "DRAMAtical Murder re:connect." And that first day of the performance, "THE CHiRAL NIGHT -Dive into DMMd- V1.1" is now being released on Blu-ray! DVD copy is also included. ※DVD is Region 2. Please note that it may not be playable in your region. ※Contains same contents as Blu-ray.